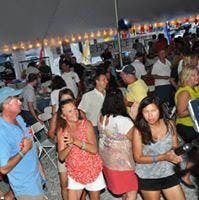 Join us for the Hospice Cup XXXVII Shore Party! This is a "not-to-be-missed" event in Annapolis! Live Music by The Shatners, catered buffet by Paul's Homewood Cafe, silent auction to benefit our hospice programs, and open bar specials including Dark n Stormy's and Jailbreak Brewery beer on tap. Get you tickets today and help Hospice Cup fulfill its mission of raising funds for area hospice programs.